It may be a lawn care company, but that doesn’t mean they provide the services you need. For example, not all lawn care service companies offer mowing, which might be okay for someone who wants to mow on their own. And not all mowing companies offer weeding services. Know ahead of time what it is you want from your lawn care service so you can find a company that meets all your needs. Do their methods line up with your needs? There are many different options when it comes to lawn care products. 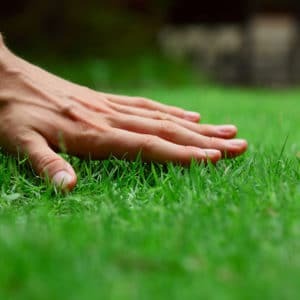 Some lawn care service companies go straight for the chemicals, and others are careful about which products they use. 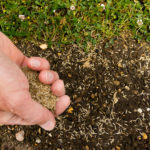 You might be particular about which types of products end up on your lawn, especially if you have kids or pets who spend time there. Are you okay using a chain company, or would you rather stay local? There are some benefits of working with a national business, like there are plenty of resources for reviews. But will they know exactly what your area needs? Local companies specialize in your area, and they are aware of the potential opportunities and drawbacks of your yard. We are a local lawn care service company serving Pennsylvania, New Jersey, and Delaware. Our lawn care professionals know the ins and outs of your area, including the important factors that will affect the appearance of your lawn. Call us today at 888-581-5296 for a free quote.